Event highlights: Women who have created a Lion of Judah Endowment (LOJE) were feted at the recent LOJE: Ultimate Thank You. 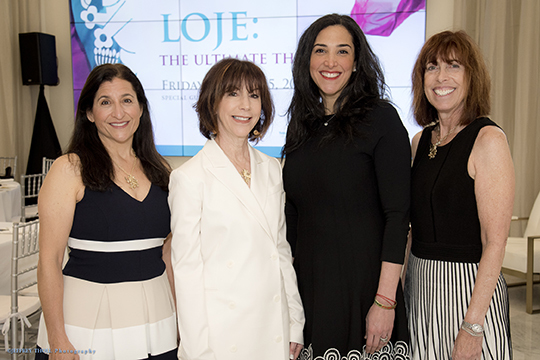 Through their LOJE, these women have ensured that their annual gift will benefit the community and the Jewish people for generations to come. The event, chaired by Marcia Beckerman and April Leavy, was held at the elegant Sales Gallery for the Residences at the Mandarin Oriental, Boca Raton and featured a talk by Alana Newhouse, editor and founder of Tablet Magazine and author of The 100 Most Jewish Foods. The group celebrated the national 25th anniversary of the LOJE program by recognizing 10 new LOJEs this year, and remembering the legacy of the LOJEs who have passed away.